The Pension Protection Act of 2006 first allowed taxpayers age 70½ and older to make tax-free charitable donations directly from their IRAs. By making a qualified charitable distribution (QCD) from an IRA directly to a qualified charitable organization, older IRA owners were allowed to exclude up to $100,000 annually from gross income. These gifts, also known as “charitable IRA rollovers,” would otherwise be taxable IRA distributions. The law was originally scheduled to expire in 2007, but was extended periodically through 2014 by subsequent legislation and finally made permanent by the Protecting Americans from Tax Hikes (PATH) Act of 2015. You must be 70½ or older in order to be eligible to make QCDs. You simply instruct your IRA trustee to make a distribution directly from your IRA (other than SEP and SIMPLE IRAs) to a qualified charity. The distribution must be one that would otherwise be taxable to you. You can exclude up to $100,000 of QCDs from your gross income each year. And if you file a joint return, your spouse (if 70½ or older) can exclude an additional $100,000 of QCDs. Note: You don’t get to deduct QCDs as a charitable contribution on your federal income tax return–that would be double-dipping. QCDs count toward satisfying any required minimum distributions (RMDs) that you would otherwise have to receive from your IRA, just as if you had received an actual distribution from the plan. However, distributions that you actually receive from your IRA (including RMDs) and subsequently transfer to a charity cannot qualify as QCDs. Example: Assume that your RMD for 2017, which you’re required to take no later than December 31, 2017, is $25,000. You receive a $5,000 cash distribution from your IRA in February 2017, which you then contribute to Charity A. In June 2017, you also make a $15,000 QCD to Charity A. You must include the $5,000 cash distribution in your 2017 gross income (but you may be entitled to a charitable deduction if you itemize your deductions). You exclude the $15,000 of QCDs from your 2017 gross income. Your $5,000 cash distribution plus your $15,000 QCD satisfy $20,000 of your $25,000 RMD for 2017. You’ll need to withdraw another $5,000 no later than December 31, 2017, to avoid a penalty. Example: Assume you turned 70½ in 2016. You must take your first RMD (for 2016) no later than April 1, 2017. You must take your second RMD (for 2017) no later than December 31, 2017. Assume each RMD is $25,000. You don’t take any cash distributions from your IRA in 2016 or 2017. On March 31, 2017, you make a $25,000 QCD to Charity B. Because the QCD is made prior to April 1, it satisfies your $25,000 RMD for 2016. On December 31, 2017, you make a $75,000 QCD to Charity C. Because the QCD is made by December 31, it satisfies your $25,000 RMD for 2017. You can exclude the $100,000 of QCDs from your 2017 gross income. As indicated earlier, a QCD must be an otherwise taxable distribution from your IRA. If you’ve made nondeductible contributions, then normally each distribution carries with it a pro-rata amount of taxable and nontaxable dollars. However, a special rule applies to QCDs–the pro-rata rule is ignored and your taxable dollars are treated as distributed first. Example: Assume you have a single traditional IRA with a current value of $100,000, which includes $10,000 of nondeductible contributions. Therefore, you have a taxable balance of $90,000 and a nontaxable balance of $10,000. If you were to make a $5,000 withdrawal from your IRA, nine-tenths ($10,000/100,000) of your distribution, or $4,500, would be taxable and one-tenth ($10,000/100,000), or $500, would be nontaxable. However, if you make a $5,000 QCD, the entire $5,000 amount will be considered to come from your $90,000 taxable balance. If you have multiple IRAs, they are aggregated when calculating the taxable and nontaxable portion of a distribution from any one IRA. Example: Assume you have two traditional IRAs. IRA One has a value of $50,000 and does not include any nondeductible contributions. IRA Two also has a $50,000 value but includes $10,000 of nondeductible contributions. For tax purposes you are treated as owning a single traditional IRA with a value of $100,000 and a nontaxable balance of $10,000. If you were to make a withdrawal of $50,000 from IRA Two, nine-tenths ($10,000/100,000) of your distribution, or $45,000, would be taxable and one-tenth ($10,000/100,000), or $5,000, would be nontaxable. However, if you make a $5,000 QCD from IRA Two, the entire $50,000 amount will be considered to come from your $90,000 taxable balance. Caution: RMDs are calculated separately for each traditional IRA you own, but may be taken from any of your IRAs. Caution: Your QCD cannot be made to a private foundation, donor-advised fund, or supporting organization (as described in IRC Section 509(a)(3)). Further, the gift cannot be made in exchange for a charitable gift annuity or to a charitable remainder trust. Without this special rule, taking a distribution from your IRA and donating the proceeds to a charity would be a bit more cumbersome and possibly more expensive. You would request a distribution from the IRA and then make the contribution to the charity yourself. You’d include the distribution in gross income and then take a corresponding income tax deduction for the charitable contribution. But due to IRS limits, the additional tax from the distribution may be more than the charitable deduction. QCDs avoid all this by providing an exclusion from income for the amount paid directly from your IRA to the charity–you don’t report the IRA distribution in your gross income, and you don’t take a deduction for the QCD. The exclusion from gross income for QCDs also provides a tax-effective way for taxpayers who don’t itemize deductions to make charitable contributions. 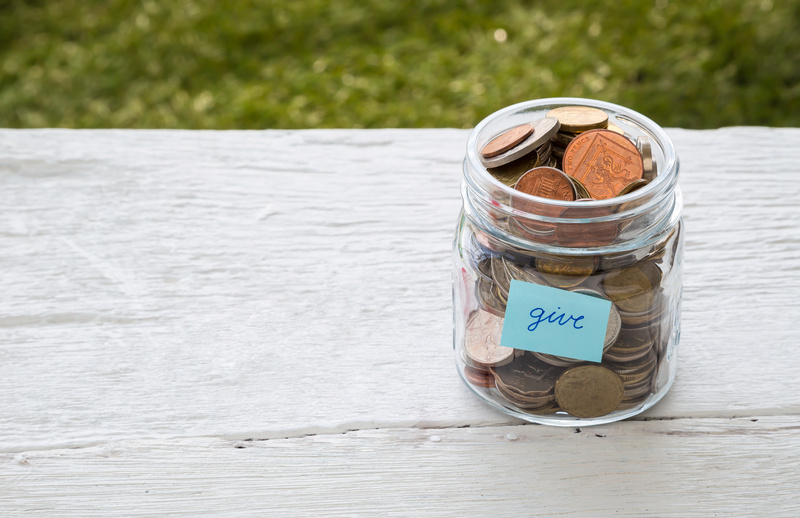 Can I name a charity as beneficiary of my IRA? Yes, you can name a charity as beneficiary of your IRA, but be sure to understand the advantages and disadvantages. Generally, a spouse, child, or other individual you designate as beneficiary of a traditional IRA must pay federal income tax on any distribution received from the IRA after your death. By contrast, if you name a charity as beneficiary, the charity will not have to pay any income tax on distributions from the IRA after your death (provided that the charity qualifies as a tax-exempt charitable organization under federal law), a significant tax advantage. After your death, distributions of your assets to a charity generally qualify for an estate tax charitable deduction. In other words, if a charity is your sole IRA beneficiary, the full value of your IRA will be deducted from your taxable estate for purposes of determining the federal estate tax (if any) that may be due. This can also be a significant advantage if you expect the value of your taxable estate to be at or above the federal estate tax exclusion amount ($5,490,000 for 2017). Of course, there are also nontax implications. If you name a charity as sole beneficiary of your IRA, your family members and other loved ones will obviously not receive any benefit from those IRA assets when you die. If you would like to leave some of your assets to your loved ones and some assets to charity, consider leaving your taxable retirement funds to charity and other assets to your loved ones. This may offer the most tax-efficient solution, because the charity will not have to pay any tax on the retirement funds. The legal and tax issues discussed here can be complex. Be sure to consult an estate planning attorney for further guidance.